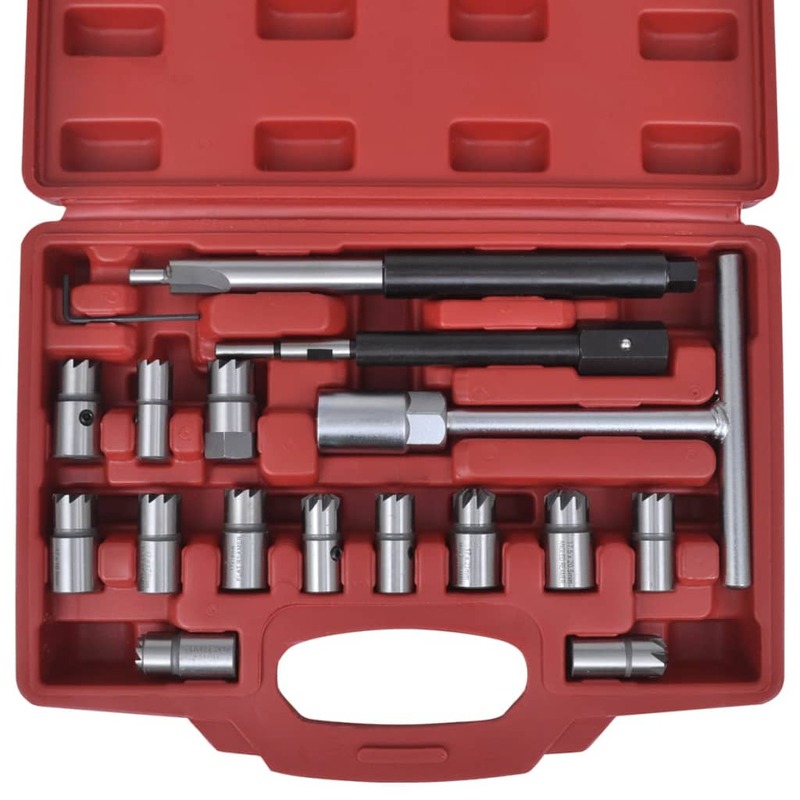 This diesel injector cutter set is suitable for cleaning and repair of the sealing surfaces of injectors and in the cylinder head. For example, when replacing injectors or leaking nozzle seat, it can be used to remove carbon residues and rust. 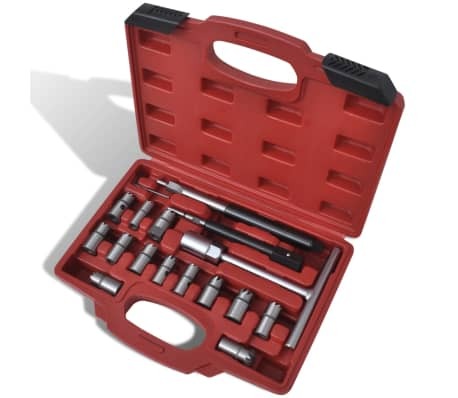 Built to a high standard, the robust construction makes this set durable enough for daily use in your workshop. 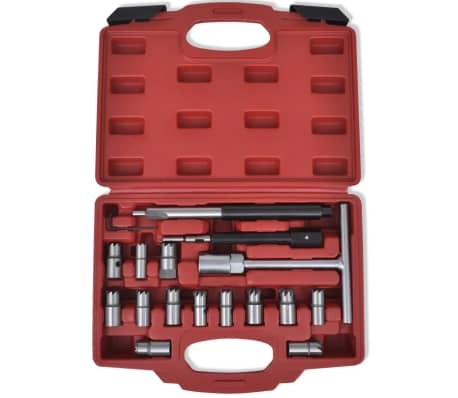 This unit contains 17 pieces, suitable for almost all modern common rail engines. 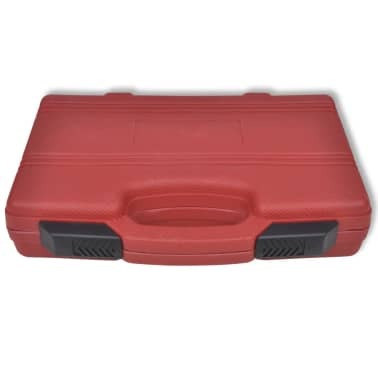 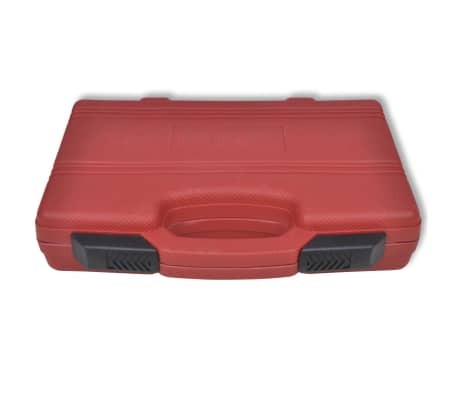 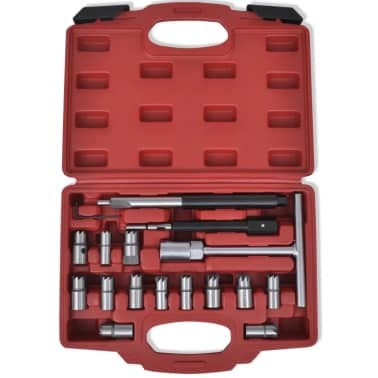 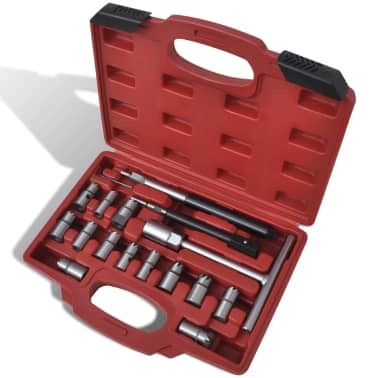 This tool kit comes in a blow molded case for easy transport and storage.